If you don't know what to do, try to work with them to draw cartoon. Giving the kid a basic understanding about creating cartoons, you will ensure yourself free time, and the child – an interesting case. - colored pencils or paint. Twenty or thirty years ago, the stores you can find an interesting toy – a camera consisting of three main parts: a small window for viewing films, handles the scrolling of the film and the tape, which was a lot of almost identical frames. But he had only to put the film in the projector and start to scroll around in the window appeared the real cartoon. To create something similar to the cartoon it is possible and in house conditions. And rest assured: this class will appeal to your toddler. Don't forget to tell your child that multiplication is truly a difficult and laborious task. The hero of the cartoon performed the simplest movement requires about a hundred drawings. And for a ten-minute video needs about fifteen thousand personnel. However, the baby and himself, plunged into the process, understand what a time-consuming affair. 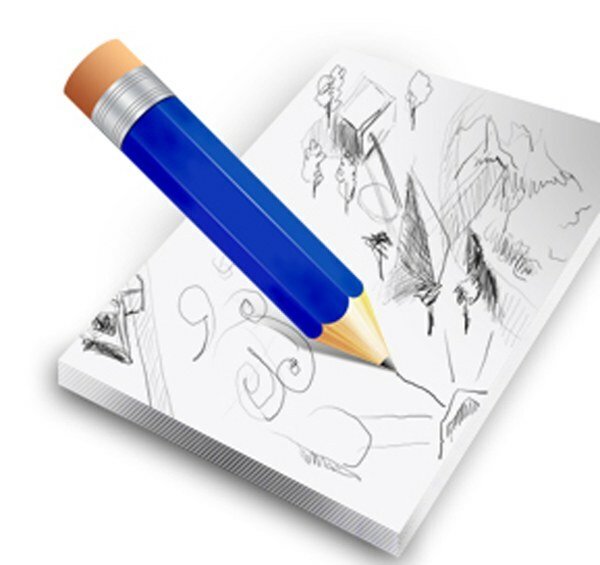 To draw a basic cartoon, prepare the necessary tools – a notebook and pencils. Pre-decide what will be your character and what actions it will perform. It can be any fairy tale character, an animal or an ordinary man. For example, in your cartoon, it will raise and lower hands. After you imagine that will do the character in your movie, you can begin creating the movie. To do this, take a notebook and on the first page, draw the first frame of the animated plot: your character is holding the arm down. On the next page, the hand slightly raised. On the third hand even higher. And so on. The drawings must show every movement of your character. To be as accurate as possible, have the child slowly to portray the action hero. And you will record its movement. Or can switch roles: you're posing, the child draws. On the middle page of the notebook must be shown of the hands raised upwards. The final frame of the cartoon shows the last action of the character. In this case, his hand should be down. When you set forth the basic moves of the hero, complete the remaining pages of the interim provisions. If you want your cartoon has turned color, character color pencils or paints. Although for the first time to show the principle work on the cartoon, you can get by with just a simple pencil. When all the images are ready, start watching the cartoon. And then, as they say, a trick. More precisely, the speed and agility of your hands. Run a quick change of pages. To do this, hold the cover of the notebook in his right hand, and left quickly flip through the pages and see what you have depicted. The figures will change rapidly, and cartoon character – to move. Then you can make your cartoon more themes. They are created in a similar way. You can also draw a cartoon on a narrow strip of paper. To do this, visually divide the tape into frames, draw the first and last movement of the hero and complete their intermediate positions. Start viewing such a cartoon can be an ordinary pen or pencil. Wrap the paper on a pen and then quickly move her on tape with pictures. When movement of the pen on the sheet, your character will come alive and will honour you draw traffic.